What Role Does Magnesium Play In a Gout Diet? Magnesium is an alkaline mineral that is found in many foods like leafy green veggies like romaine, lettuce, spinach, nuts and whole grains. Magnesium performs many functions in your body, helping control the amount of calcium in your body to muscle functions as well as your heart and kidneys. But where it concerns us gout sufferers, did you know that magnesium helps to circulate your blood better? Magnesium will lower your blood pressure making your heart work more efficiently reducing any excess strain on it. The more your blood flows smoothly in your body, the more excess uric acid your body can remove avoiding any crystallization in the joints which can cause a gout attack. Actually magnesium has been shown to be an effective treatment for acute cases of gout. If you have signs of magnesium deficiency, you may be susceptible to developing gout. 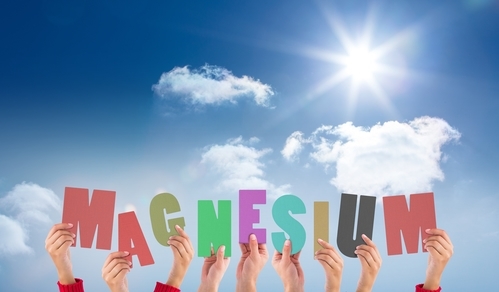 Many people are magnesium deficient and don’t even know it. There are few key symptoms to look out for that could indicate this like experiencing leg cramps on a regular basis, insomnia due to anxiety, restlessness and hyperactivity. You can also experience muscle pain and/or fibromyalgia which magnesium has shown to help decrease its’ symptoms. In addition, fatigue, anxiety, type 2 diabetes, migraines and high blood pressure can also be indicative that you are magnesium deficient. So if you are magnesium deficient then you definitely want to add magnesium-rich foods in your diet or take magnesium supplements to compensate. Make sure to talk to your doctor before embarking on consuming magnesium supplements though. They can produce minor side effects that usually go away after a few days like diarrhea. Some other more serious complications can occur if you take more magnesium than your doctor recommends. Your blood pressure may suddenly drop too low, you may experience bradycardia, a condition in which your heartbeats slow down to fewer than 60 beats per minute. Too much magnesium can, in extreme cases cause you to fall into a coma or even to die! Did you know that it is estimated that about 80% of adults may lack enough magnesium in their body? This is due to soil depletion that lowers the amount of magnesium that is present in crops. Another factor is the high rate of prescription medication and antibiotic use that damages our digestive tract to the point that it cannot be properly absorbed. 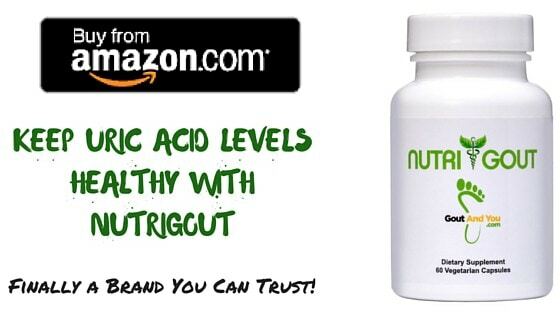 There are also digestive disorders in the gut, that lead to malabsorption of magnesium and other minerals. How Much Magnesium Should You Have? Hello – I’ve been dealing with gout for nearly 50 years. Thru most of it, allopurinol kept the uric acid in check. I use colchicine if symptoms become acute. I guess you got a tophi on ur right foot toe. Feburic(febuxostat) should be more effective. On long term consumption, it will reduce the Tophi on ur foot. Check with your physician about it. Hi there, I got gout a few years ago in my fingers. A homeopath said it comes from sugar. I cut down on sugar and it went away. You’ll find info re sugar and gout in the internet, too. I also started Epsom Salt baths which is magnesium sulphate. It is far better than any oral magnesium and it solved lots of other problems as well. Even my hair is getting darker again. Nice side effect! I promote Liquid Gel and Bath Flakes magnesium Chloride. It helps your body in many ways. I just wanted to float this out there and see if it can work for other people. After a little over a year without a second attack, I admittedly let myself get lax. Sure enough, after a long day mountain biking, my big toe started to get that stiffness which signals the onset of a full on acute attack. Sure enough, my toe swelled up the next day and I was limping around for a week. A couple months later, the same feeling in my toe came back. This time, I immediately went back to making myself that smoothie for a couple days. While I can feel a little stiffness (not enough to keep me from the gym) in my toe, the acute attack never came. Most recently, a couple weeks ago, I went on multi-day back-country ski trip (where I let myself get pretty dehydrated). My toe again got that stiff/sore feeling. Again, I went on my smoothie diet (smoothie in the morning, eating regularly the rest of the day). While I can feel that the joint in my toe is definitely a little stiff, it doesn’t keep me from going to the gym. I wanted to share this here and see if other people might try it and share their results. I live a pretty active life style that can easily trigger acute gout attacks, but this recipe seems to be working for me at staving them off. Good information. I am on Vit D3 supplement prescription because of an unusually low blood lab result. I do not suffer diabetes, or hypertension, or anxiety or insomnia (except when I hurt). But I get terrible leg cramps and head aches. Hey who knew maybe that’s why I never got gout. I have taken magnesium for a number of years now for sleep and relaxing and calming the body. Spiro: I have been on Nurti-Gout for about 7 months now with great results. Thanks! But it irritates me that Amazon shows the product at a price of $19.95 and your shipping and handling is almost $5.00 for a product that shows up in my mail box after a few days. It won’t stop me from buying but it is a “burr in my Saddle” so to speak. If you subscribe to Amazon Prime the shipping is free. Unfortunately, I am not in control of the shipping costs at Amazon, they decide that. I’ve found bulk magnesium chloride for around $45 for a 50lb bag. I treasure 1 tsp daily or ever other day. So much cheaper than monthly supplies.